Spinning is the most widespread and popular method. Spinning is the method that most associate with sport fishing. The method is very widespread and it has developed many ramifications in spin fishing. In short, it means spinning that with the help of bait weight throw out a bait, and cranks it home again. Spin Fishing can all do, what is most important to learn is how to roll torque look and when to let go of the rope. Throw The module looks like the following: You let the bait hang about 1-2 dm from the outer spots spöögla. Slowly but checked the rod backward to about 2 o'clock, after that for you the rod forward in a rapid but controlled acceleration, when the rod tip reaches about 10-11 o'clock, release the rope and let the bait fly away. The most common spin fishing with a spinning reel, a spinning rod and nylon or braided line. If you drive with a spinning reel, you must have a spinning rod. The important thing to remember is to adapt your equipment to suit the type of fishing you will engage. Should you throw the heavy pull and fish larger fish so you need thicker line and a heavier rod, the disadvantage of a thicker line is that you throw less, but in return so does not wear the fish of the line as easily. Say you are going to fish for perch with a jig, then it's incredibly fun to buy a rod UL (ultra light) with a small reel or multi-reel and braided line. With flätlinan you feel every little flick because flätlinan is dumb, and UL-Spot, you get a cool experience to drill the fish because it is so light and delicate. Are you going to fish a little bigger species, you need to adjust the equipment for that, a UL-rod for pike can for example be very difficult. The spin fishing does not require a lot of equipment to get started. You need a rod, reel, line and bait. Works there is tremendous many. Some examples: Jig, Wobbler, Spoons, Spinners. 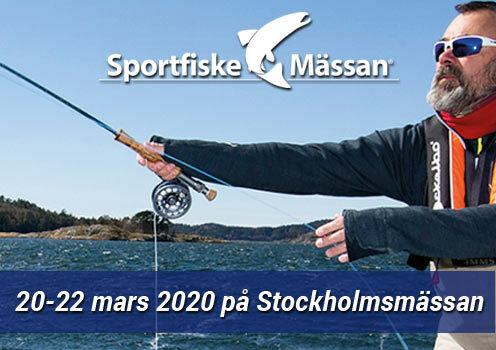 If you are fishing for pike, it is also very important to have a ståltafs so that pike with their sharp teeth can not bite the rope. Another good tip is to buy SNAPS, a SNAPS so you will not tie a new knot each time you switch moves, instead, strum, you just behave lock and select a new draft. 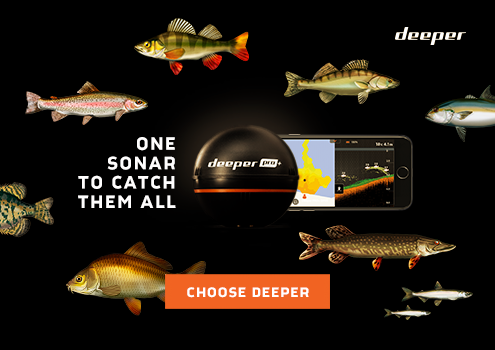 As mentioned earlier, it is important to adapt your equipment to suit the kind of fishing you will engage and in which stage you are in purely experiential. Many start with an open or enclosed spinning reel and a spinning rod. The more experienced fishermen usually use a multi-reel and a spinning rod. In spöväg there are many different casting weights and lengths. On Spinning is spöringarna facing down, in order to haspelrullen located on the bottom of the rod. On a spinning rod fishing with enclosed spinning reel or multiplier reel so spöringarna angled upward, as the rollers are. There are also so-called inline rods, these rods have no snake guide without the rope goes through the rod instead. In linväg so are the top variants nylon, braided line and Flourcarbon. - Nylon rope is elastic but twist easily. - Flätlinan is mute but is happy if you happen to rub against the sharp details of the roll or go to a rock in the water. - Flourcarbon said to be completely invisible in water and has a lower Specific Gravity, that drops slightly. It is difficult to tie conditioned and normally have lower breaking strength. Among rolls so are the most common reel, enclosed spinning reel and a multiplier reel. - Haspelrullen is the most common type of roll. You use it by holding onto the rope with his index finger against the rod, fold up the stirrup, throw out the bait. When you then start to reel in, out come the jumper back to its correct position and you can begin to reel in the line. - The encapsulated haspelrullen is usually a roll that children and beginners use. With a push button disengages you train and when you release the button fly move away. The downside is that caste lengths usually becomes slightly shorter than with a reel, and you can not have as much line or too thick rope. - Multi-roll used to all kinds of fish, but the best is to use it for heavy and medium-heavy lures. It is more advanced that the cast and is aimed more at people who have experience in the past. Those who use a multi-roll mean that it is unbeatable in feel, braking and direct contact. Wobblers are an excellent imitation of small fish. It has a wonderfully meandering natural once in the water. If it is two-pronged becomes time even more natural. One can use it in many different depths. Some Wobblers have adjustable spoon so that you can choose the depth itself. Spinner emits clear sound waves as it rotates in the water which provokes the interest of most fish. Lightweight and small spinners throw is not very far and they sink slowly into the water. The problem is, however, not in the same way if you put on a bigger and heavier spinners. Because it is a spoon that rotates the spinner so requires that you do not crank for movement to start, because you are a little more limited with the repatriation momentum with a spinner. It is clear, however, that the spinner is extremely popular with anglers. The jig has not built the same time as many other baits, but you get yourself give it life and movement. Usually when you fish the jig is to throw out and let it sink to the bottom, then you take it home in the jerky movements where you let it bounce on the ground. It is easily thrown, falling rapidly and because the hook is facing up so stuck not so easy in the bottom. Another advantage of the jig is that it throws very well even against the wind. If you do not fish it on the ground, then switch between short and long pressure to give the extra "life" in the water. Very popular feature in many designs. There are narrow, wide, short, long, all sorts. Long narrow spoon imitates a fast-swimming fish, to get the most out it is best to vary the repatriation momentum. Very popular on the coast but works everywhere. Breda spoon has a more rocking slow motion that mimics a fish that is not a natural time in the water, as such. an injured fish.